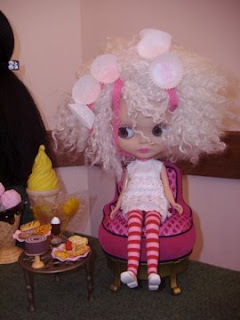 here is the most cherished doll we bought at Rimini convention, from our friend Emma who designed this amazing doll with a complete reroot just for us. Non parlo la vostra lingua bene, ma so dire in portoghese: Eu amo o trabalho de vocês!! !Congratulazioni!